Whatever You’re Doing, Stop! Trailer: The Cloverfield Paradox! Ten years ago, something arrived. Today we find out why. The Cloverfield Paradox premieres on Netflix immediately following Super Bowl LII. Daniel Brühl and Luke Evans to Star in TNT’s The Alienist! Daniel Brühl will play forensic psychologist Dr. Laszlo Kreizler, while Luke Evans will play reporter John Moore in TNT’s adaptation of the Caleb Carr bestseller The Alienist. In the novel, both called upon to investigate a series of brutal murders in New York during the Gilded Age. Production of The Alienist will begin in early 2017 in budapest – with the series slated to premiere late in the year. Details follow the jump. What Have You Been Up To Trailer: The Zookeeper’s Wife! Jessica Chastain stars as Antonina ?abi?ska, who, with her husband Jan, ran the Warsaw Zoo when the Nazis invade Poland. She helped hundreds of lives – by hiding them in the bombed out cages of the zoo – while risking her own. The Zookeeper’s Wife is based on Diane Ackerman’s bestselling book. It will be in theaters on March 31, 2017. The tension filled trailer follows the break. When Alex returns to his home town to help design a robot child, he uses his 10-year old niece, Eva, as a source of inspiration – but his growing relationship with his niece causes him to have second thoughts. 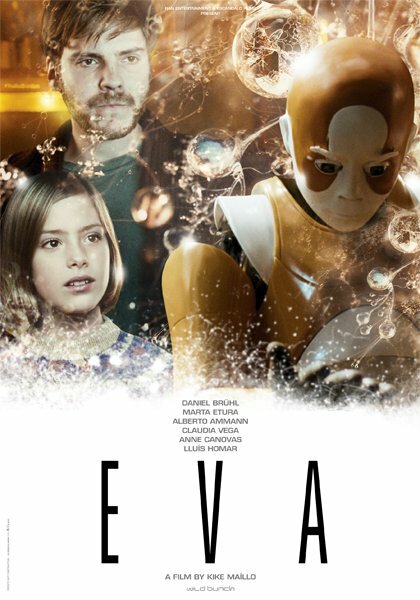 Eva is a sci-fi thriller that is finally coming to North America because of The Weinstein Company. It opens in select theaters on March 13th. Check out the intriguing trailer after the jump.